NHPC Limited, a Govt. of India Enterprise, was incorporated in the year 1975 with an authorized share capital of Rs. 2,000 million and with an objective to plan, promote and organize an integrated and efficient development of hydroelectric power in all aspects. 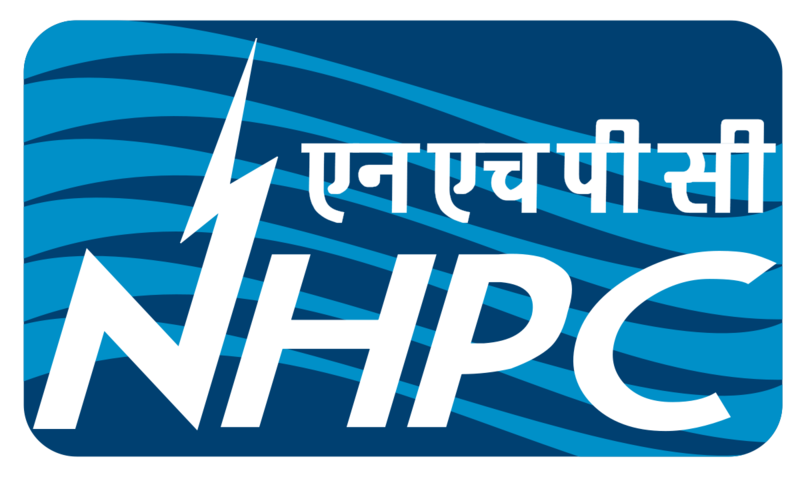 Later on NHPC expanded its objects to include development of power in all its aspects through conventional and non-conventional sources in India and abroad. At present, NHPC is a Mini Ratna Category-I Enterprise of the Govt. of India with an authorised share capital of Rs. 1,50,000 Million. NHPC is ranked as a premier organization in the country for development of hydropower. Initially, on incorporation, NHPC took over the execution of Salal Stage-I, Bairasiul and Loktak Hydro-electric Projects from Central Hydroelectric Project Construction and Control Board. Since then, it has executed 20 projects with an installed capacity of 6507 MW on ownership basis including projects executed by NHDC Limited, a Subsidiary Company of NHPC Limited. NHPC has also executed 5 projects with an installed capacity of 89.25 MW on turnkey basis. Two of these projects have been commissioned in neighbouring countries i.e. Nepal and Bhutan. During the financial year 2016-2017 , NHPC Power Stations achieved the generation of 23275 MU.During the Year 2016-17, NHPC had a Sales of Rs. 7139 Crore with a Net Profit of Rs. 2796 Crore. During the Year 2016-17, NHPC had a Sales of Rs. 7139 Crore with a Net Profit of Rs. 2796 Crore. Presently NHPC is engaged in the construction of 5 projects aggregating to a total installed capacity of 4290 MW including 1000 MW (Pakal Dul HE Project) being executed through JV Company. 10 projects of 7151 MW are awaiting clearances/Govt. approval for their implementation including 3 Projects of 1186 MW to be executed through Subsidiary/Joint Venture Companies. The Board of Directors of the Company Approved the proposal to Buyback of not exceeding 21,42,85,714 (Twenty One Crore Forty-Two Lakh Eighty-Five Thousand Seven Hundred Fourteen) Equity shares at a price of Rs. 28 (Twenty Eighty only) per equity share (the “Buyback Offer Price”) of face value Rs.10 each, payable in cash for an aggregate consideration not exceeding Rs. 599.99 crores. 1. Firstly, to be eligible for the buyback the investor should have shares of NHPC Limited Buyback offer 2018 in demat or physical form as on the record date [30.11.2018] 2. Once you have shares in demat, you can participate in the buyback process which is opening from [ 01.01.2019 to 14.01.2019 ] by selling your shares through your broker on NSE or BSE. 3. Then on [23.01.2019], the payment will be given to you for accepted shares and unaccepted shares will be returned to your demat account. Review and Recommendation of NHPC Limited Buyback offer 2018 by InvestorZone team is: 2/10 Fair: 1-5 Good:5-7 Excellent: 7-10 IZ Review Very little upside to play with at CMP of 27.1. Acceptance Ratio : 1. As on March 2018, the number of shareholders holding shares between 0-1000 were close to 4,66,268 and no. of shares they were holding were close to 23 Cr. 2. No. of Shares reserved for Retail shareholders is 3.15 Cr. 3. So, Acceptance Ratio would be close to 15%. 1. Buyback Announcement date: 14.11.2018—– Share Price was 27. 2. 7000 Shares bought at Rs. 27 means an investment of 1,89,000. 5. Overall we can say a profit of 266 on an investment of 1,89,000 in than 2 months. NHPC is raising close to 2000 Cr via NCDs. First they do buyback to fill the Govt stomach then they come crying to public for money. I have 10750 share and all are eligible for buyback but only 509 accepted can you told me why happen. Acceptance depends upon no.of eligible shareholders as on Record date who have tendered there shares in the buyback. Hi all I’m a new member here, have been reading the comments and posts and his is really helpful to starters like me. Which are another PSUs that will come with buyback proposal up to March 2019. NHPC, as expected, fell today by more than 3%. PSU companies are not known for wealth creation. The NHPC is one of them. Look at its 5-year chart and you will realize how poorly it has performed. However, Dividend Payout is the only positive which is there in PSU and that too because govt wants dividend income to meet out their target. The Current Market Price of NHPC is 27.1 and Buyback Price is 28 an upside of 3.32%. Govt is making a mockery of Buyback. No point of even studying this one. The market was upbeat on NHPC Buyback but alas opposite happens. Tomorrow NHPC will definitely go down as lot of buying interest was generated in the stock due to buyback. NHPC needs to improve ROE and ROCE. Both are less than Risk free return for this company. Since pricing power for company is limited. This stock won’t run except for few events. It’s only 600 cr buyback. Buyback price below expectations.Wait for opportunities to enter the stock at low levels.